Add all ingredients to your blender starting with fruit then chop then liquefy until very smooth. If you like a thicker smoothie, add more yogurt and ice. 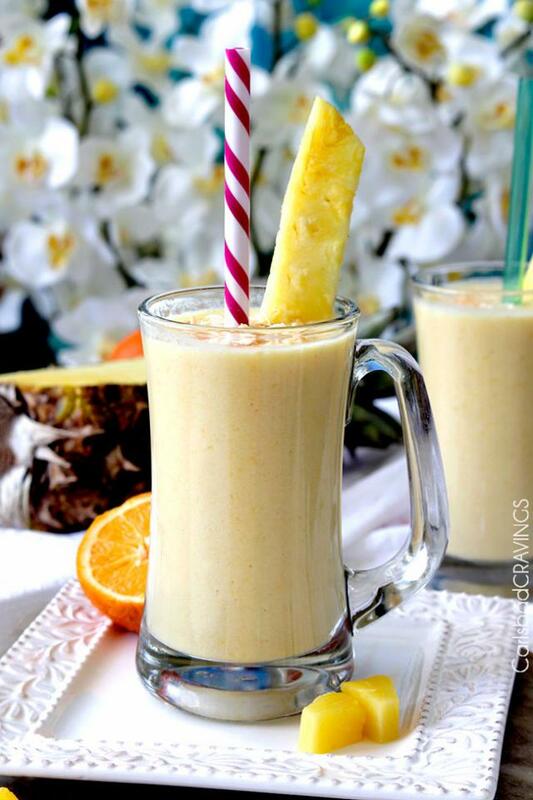 For a thinner smoothie, add more orange juice/coconut milk.